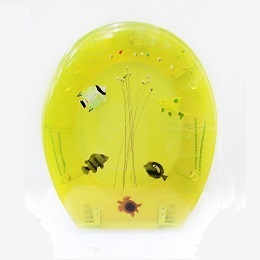 Add colour and texture to the look of your oasis away from the world with the Transparent Yellow Floating Fish and Turtle Clear Toilet Seat with Silver Hinges. This designer toilet seat will truly enhance the entire look of your bathroom and will make your toilet a beautiful part of the decor. Its bold yellow colour catches the eye and pulls it toward the unique lid of the toilet seat. On the surface of the seat, is an underwater scene that is just begging to be explored. Four tropical fish swim happily amidst a forest of kelp, and there is even a tiny sea turtle swimming by. 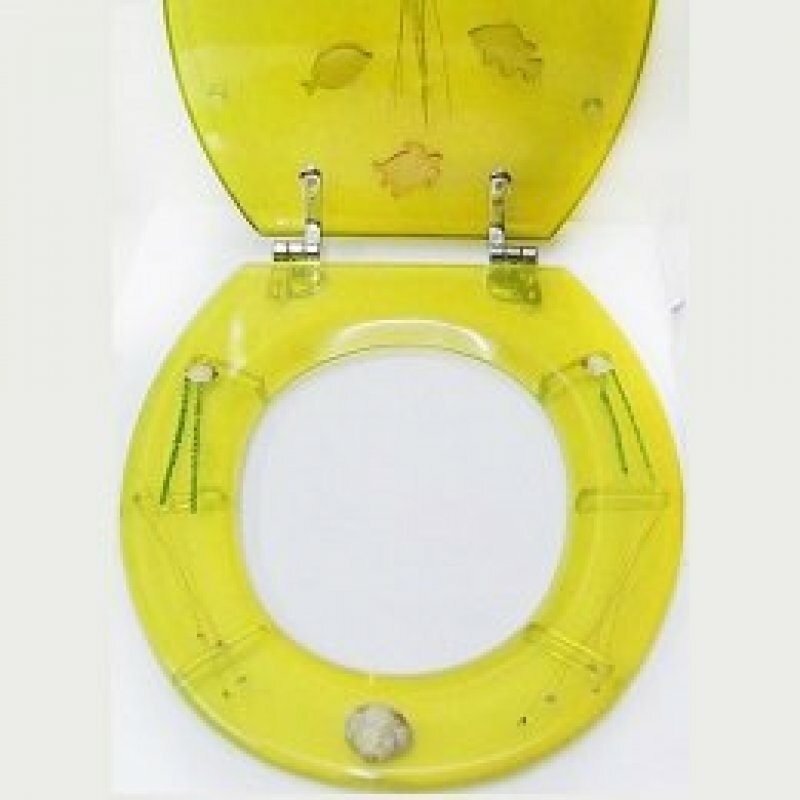 The Transparent Yellow Floating Fish and Turtle Clear Toilet Seat with Silver Hinges is constructed out of plastic acrylic resin. This unique material has tiny bubbles and dimples inside, which enhances the realism of the underwater scene and makes each of the toilet seats slightly different from the next. The hinges included in the design are chrome-plated, making them resistant to rust and giving them a sleek silver colour. The hinges are universal to fit nearly all standard toilet designs. The yellow acrylic toilet seat is 370 millimetres wide by 435 millimetres long.